Toro Canyon Ridge is a 4.7 mile lightly trafficked out and back trail located near Santa Barbara, California that features beautiful wild flowers and is rated as moderate. The trail offers a number of activity options and is accessible year-round. Dogs are also able to use this trail but must be kept on leash. Part of Toro Canyon Park, the trail starts down in the canyon and climbs to the ridge. 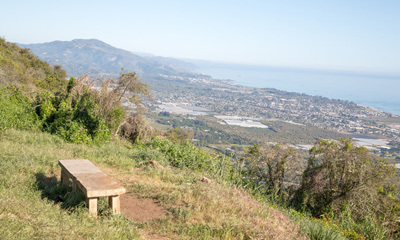 At the top, take in the view of Carpinteria and the ocean from a stone bench.